The Thing? Or the Thing it Represents? Heritage Protection is a controversial field at the best of times. There are almost as many different opinions on a given listing, say, as there are people offering said opinions. It’s difficult for the likes of English Heritage to decide what to protect and what to let go, and it’s certainly not a scientific process. But should we stop getting confused between the things we should be saving, and the events they merely represent? English Heritage have a tough old job trying to protect our heritage for future generations. One of their biggest difficulties is choosing what to list, and what not to list. The original list of protected buildings was drawn up during the Second World War, whereby a bunch of experts travelled around the country noting all the historic buildings which might be lost in bombing raids and fires. These were recorded for posterity though photography, coupled with detailed descriptions of their architecture. Such a task was relatively easy for the inspectors in those days. They just pointed at a nice old building and said: ‘list that one’. But then the 1960s came, and architectural fashions changed. Over-elaborate Victorian baubles fell out of favour with the planning and architectural elites, and clean lines, geometries and utilitarian ‘machines for living’ would replace their fussy forebears. In the late 20th century, as we started to realise that in fact the old stuff was quite nice after all, we started to regret our hasty demolition of fine old buildings. So we had to find a way of moving past fashion, and judging whether a building would become a treasured architectural gem in the future, even if it wasn’t now. So today, we argue over whether Brutalist civic centres and nasty bus stations should be listed, because, you know, they’re dead ugly, right? But architectural ‘merit’ (whatever that means) is no longer necessary to get something protected. 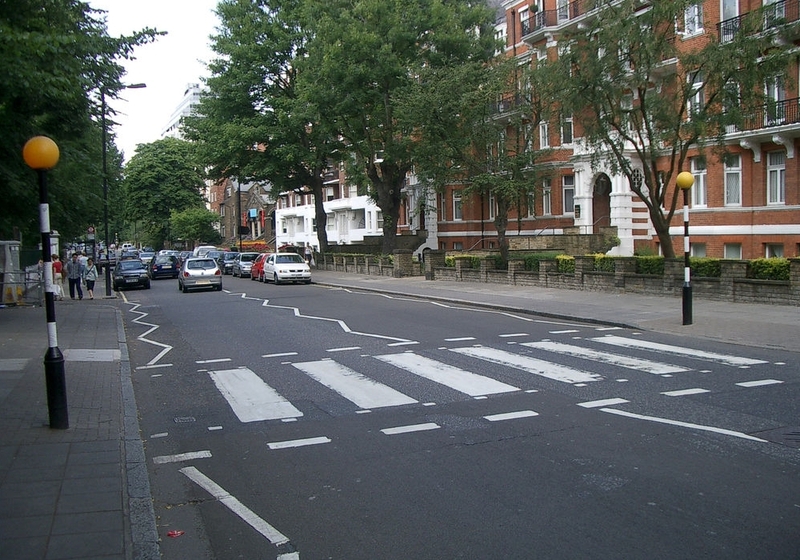 A case in point is the listing of the Abbey Road zebra crossing which featured on the Beatles’ Abbey Road album cover. Except that it didn’t, because the original crossing was removed some years ago, and a new one added further up the street. But even if it was the original, are we not listing it because of its cultural associations, rather than as a unique contribution to street furniture design? Another two examples, both also Beatles related, are interesting too. The original Cavern was demolished in the 1970s, but a replica was built – using many of the same bricks – a decade later. Secondly, the 1960s office building housing NEMS, in which the Beatles signed their contract with Brian Epstein, was recently demolished and a new building put in its place. Shouldn’t these two buildings have been preserved as well? Regular readers might understand my oft-repeated mantra that to take something out of its landscape is often akin to destroying it whole. So move the Liver Building away from the River Mersey, or London Bridge away from London, or Stonehenge away from the barrows which lie scattered around Salisbury Plan, overlooking it, and they are no longer the thing that they were. At best they are something new, with a new story. They just happen to be made of the same stones. Related to this is the fact that historic views are also protected, but the views are independent of the buildings they cover. They’re more likely to affect new construction, or the demolition of anything in the viewshed. This, like the connection between the Beatles and the Cavern, is intangible, but still important, and recognised. But at the same time, the connection is less tangible. The (original) Cavern is not the Beatles’ performances. The NEMS office is not the signing of the contract, nor is it the ‘importance of the moment’. But the two buildings represent what they are lined with. Current heritage protection is designed to protect those buildings with special architectural merit, or historical interest. But in the NEMS case, isn’t it the event – the signing of the contract – that is of historic interest? What do we get by protecting the zebra crossing or the 1960s office block? How does it compare to what we lose by sentimentally holding on to these representations of the past? Here’s where the Buddhism comes in. There is a teaching that we should remember the difference between the Thing, and the Thing it Signifies. The Liver Building is a building of architectural importance historically (as well as embodying and symbolising much of Liverpool – Liver Birds, Pier Head location). The Cavern, on the other hand, hosted many seminal bands’ early performances, but is, in the end, a dank cellar. The zebra crossing on Abbey Road is two lightbulbs and some paint on a road, that appeared in a famous photograph (or didn’t). So, should we, like the Buddhists (whatever your opinion of them) free ourselves from the accumulation of things with mere sentimental value? Wouldn’t this free us to celebrate separately those things which are of real importance, but which can never be recreated: the events, the people, the spirit of the moment? Or should we protect everything that has significant cultural associations, however much of a cameo role a given feature played? Should such protection be part of the current legislation, coming under the National Heritage List for England? Or should we have something new, a Cultural List, especially for those features which are not The Thing, but are Representative of The Thing? Or something else altogether? Let me know your views, either here on the Facebook page. Image: Abbey Road, by Hamachi, Creative Commons via Flickr.